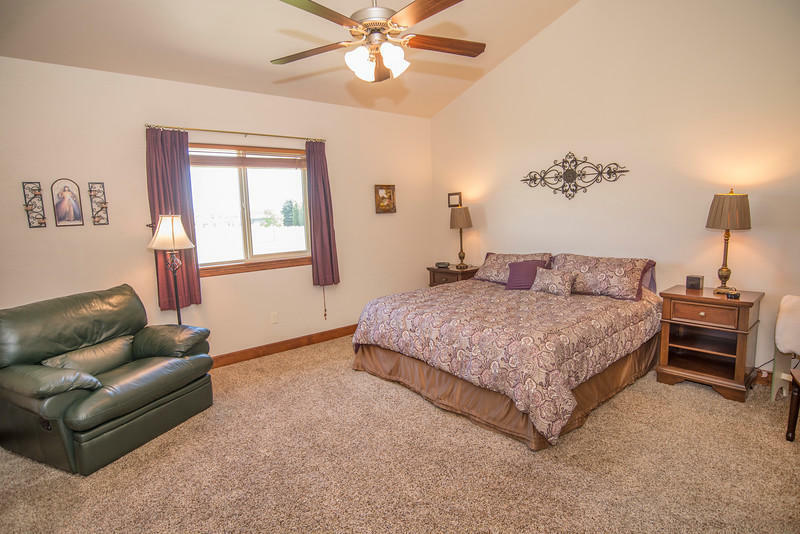 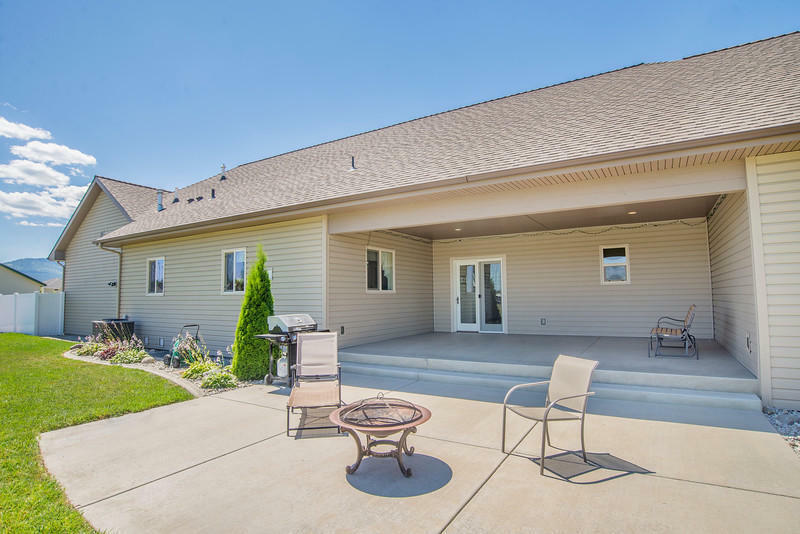 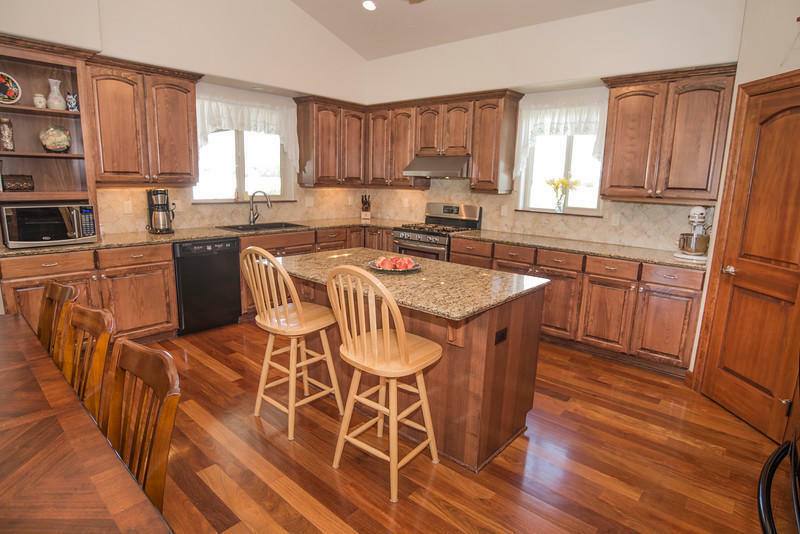 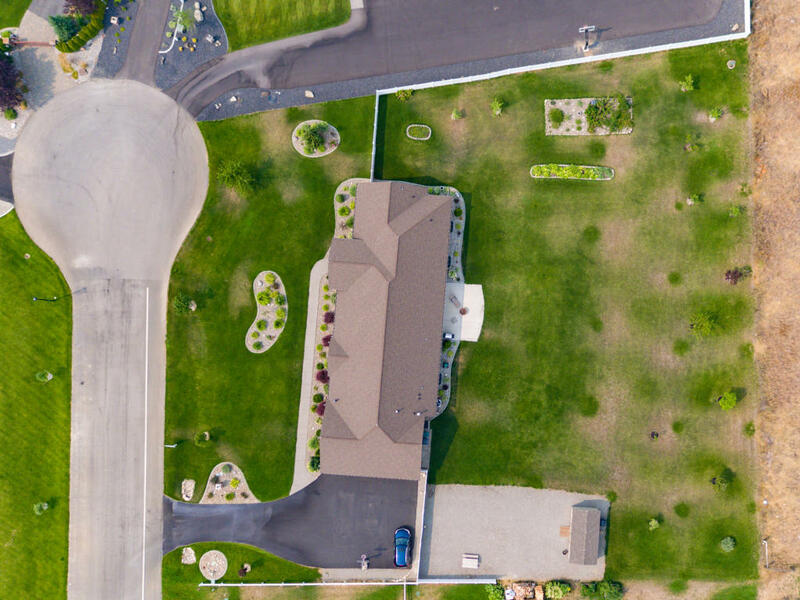 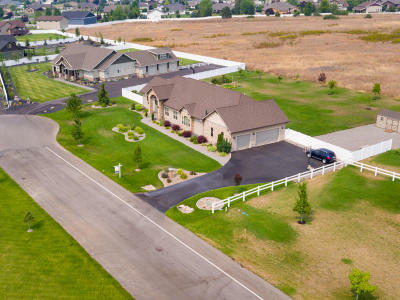 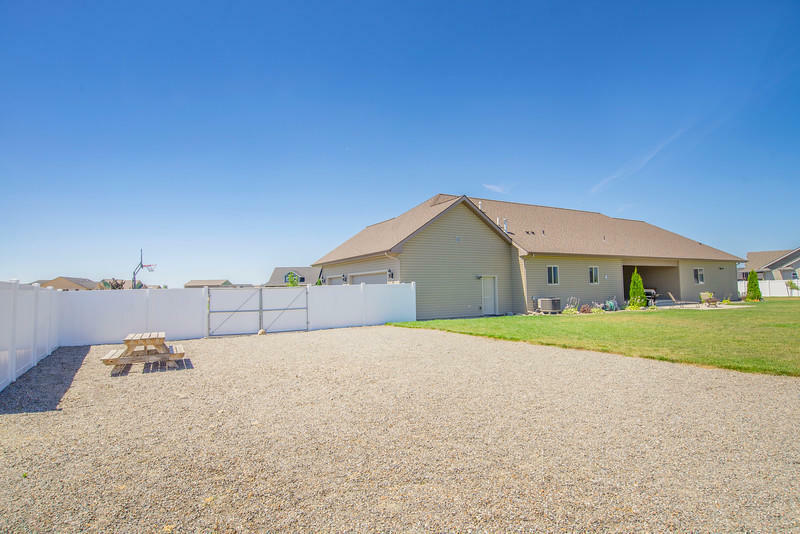 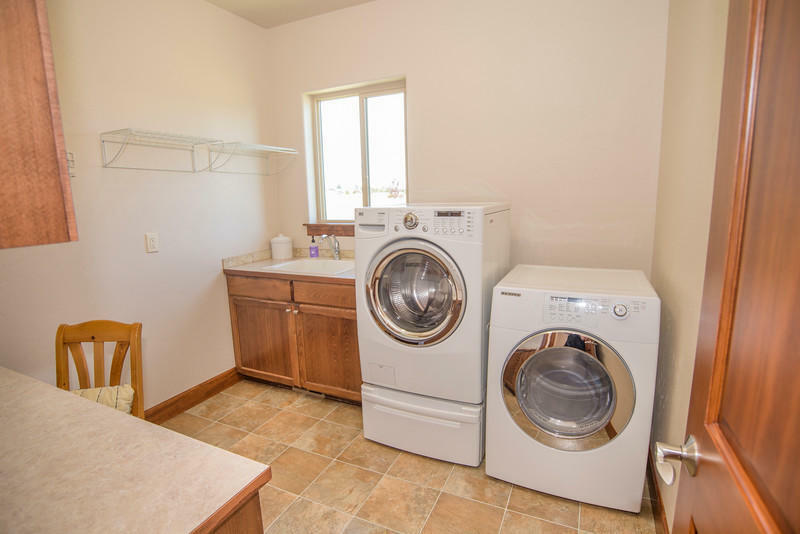 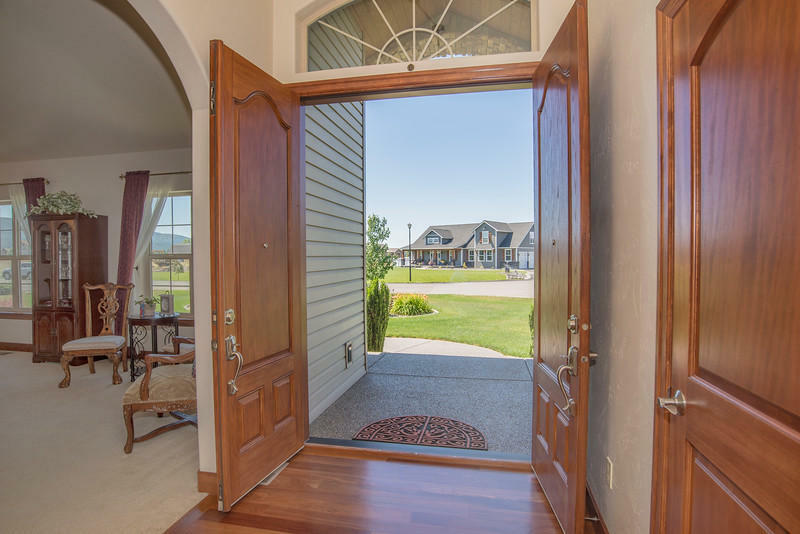 Welcome to spacious and gracious single-level living in The Meadows, an exceptional community of homes with walking trails, parks, and an equestrian facility! 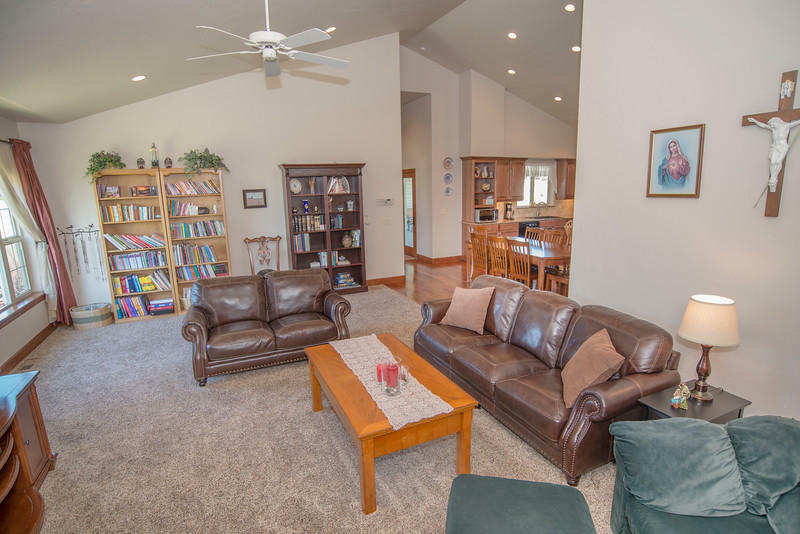 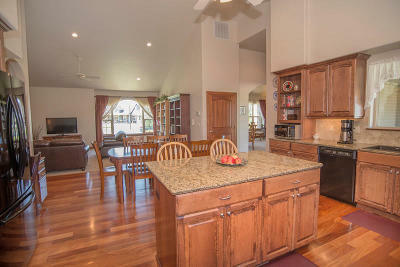 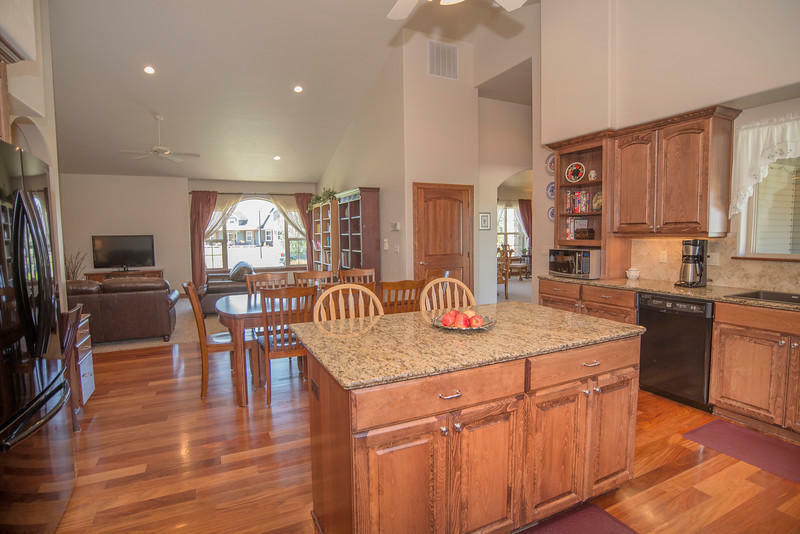 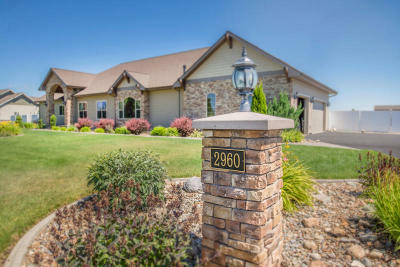 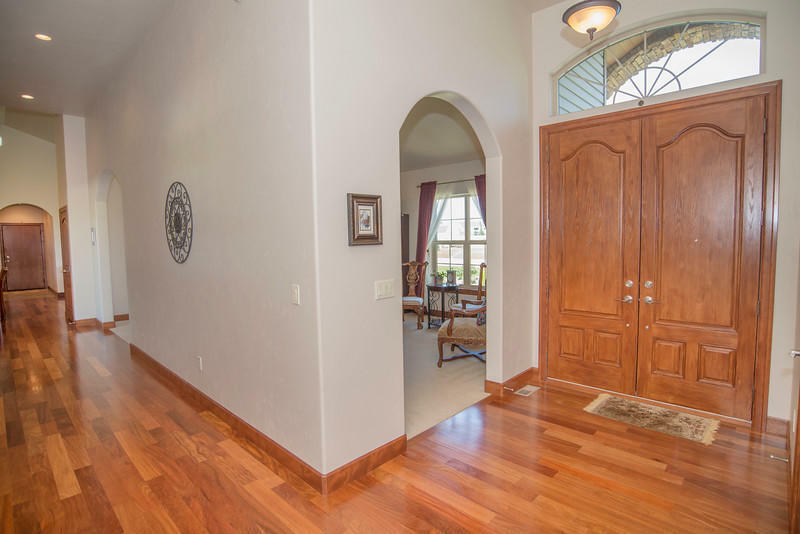 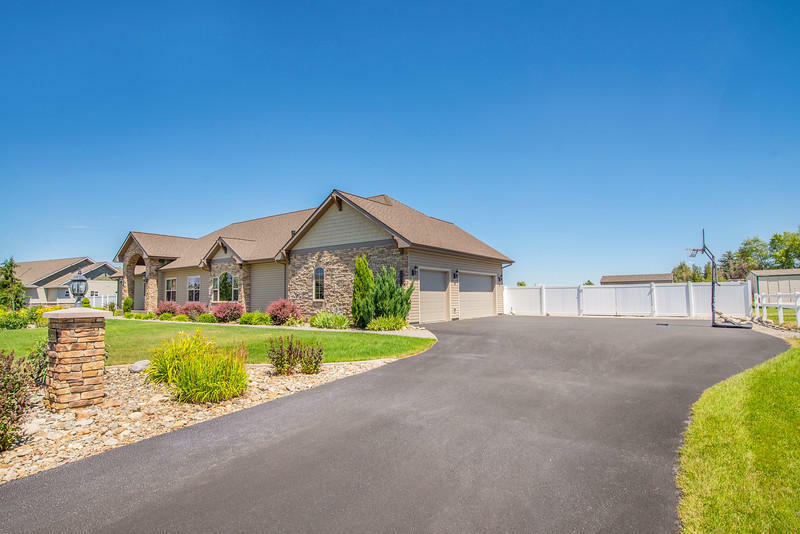 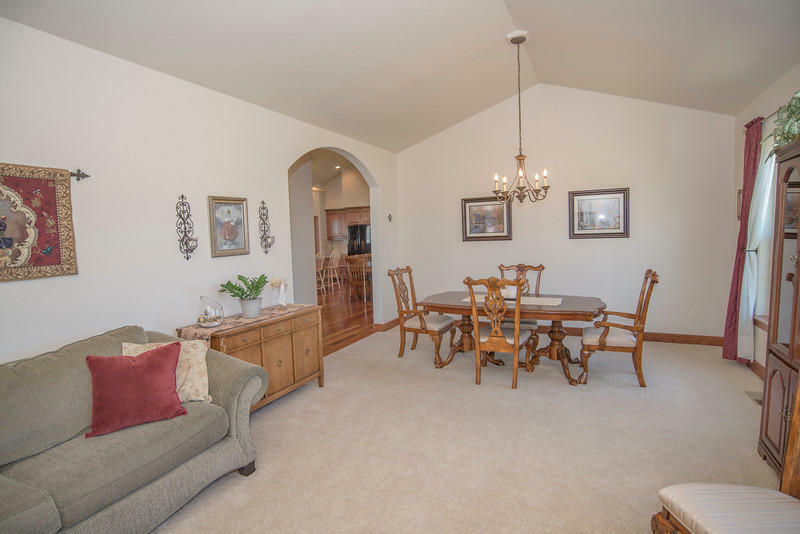 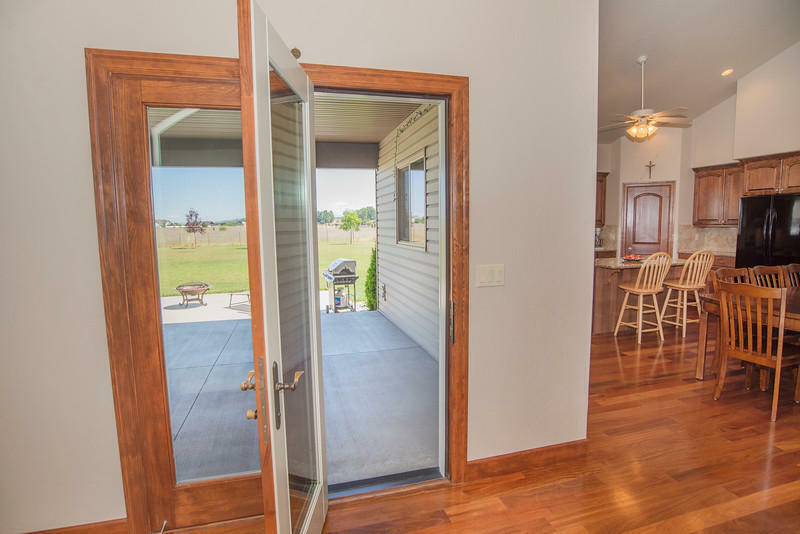 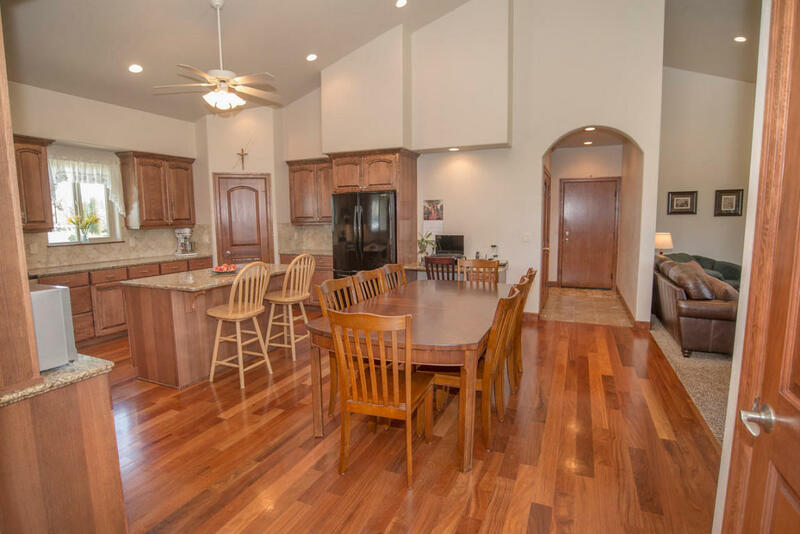 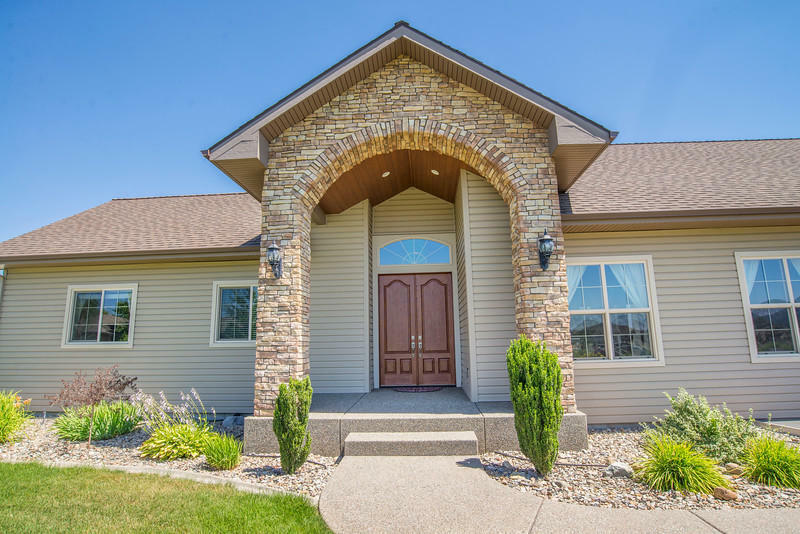 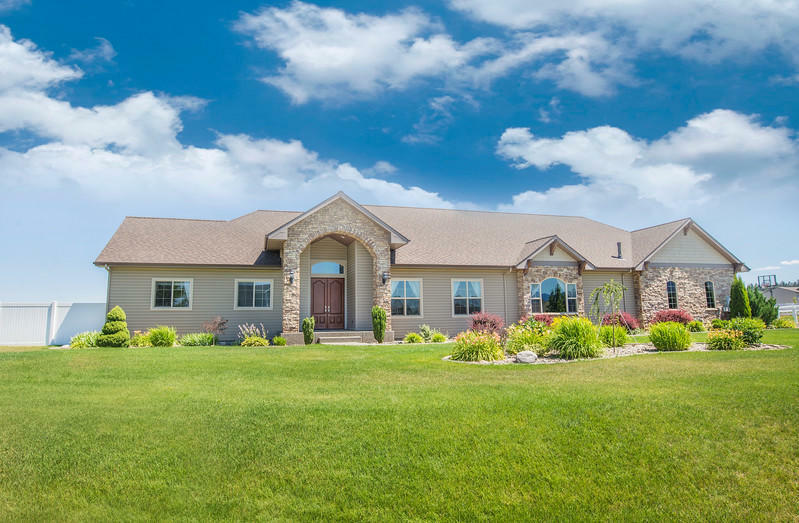 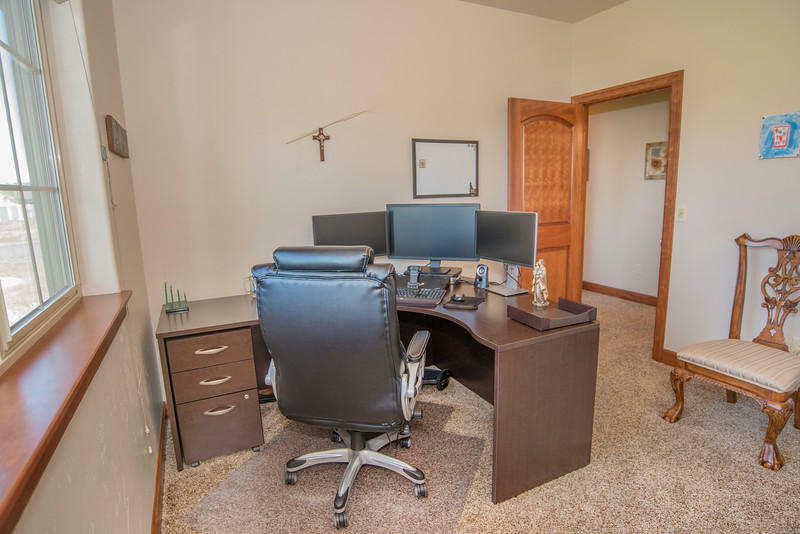 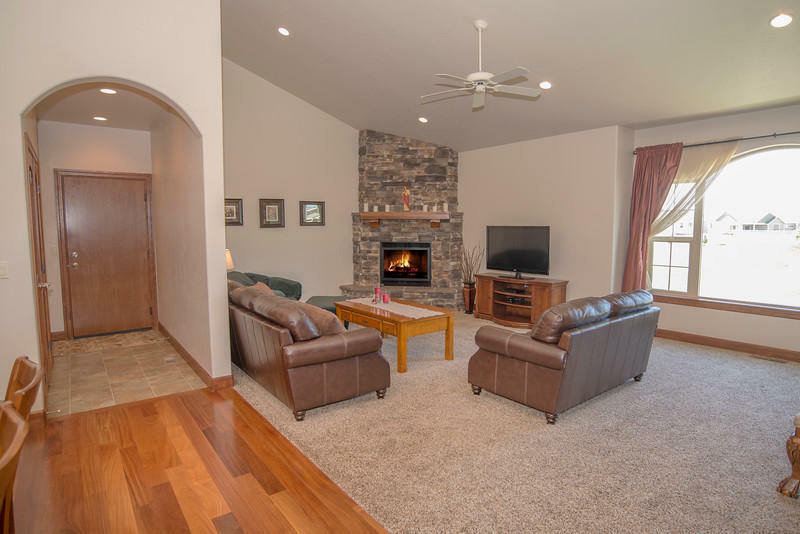 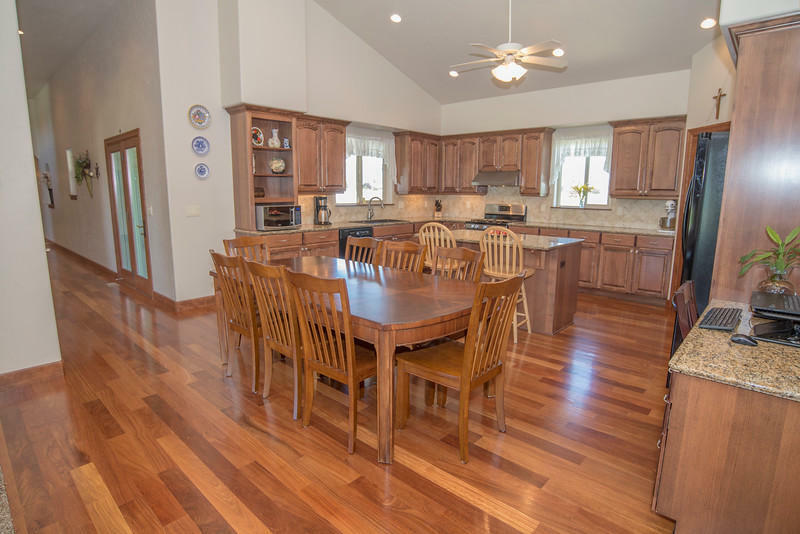 Brazilian teak floors, European beech cabinets, granite countertops, graceful arched doorways and vaulted ceilings welcome you in this traditional yet comfortably designed home on one acre of level land. 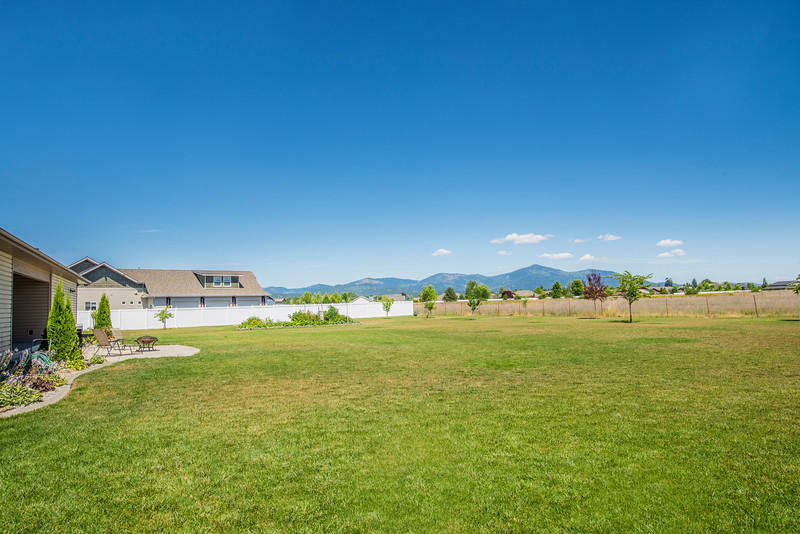 The main floor boasts formal and informal dining and living rooms, stacked stone gas fireplace in living room opens to large kitchen adjacent to large laundry room with mountain views. 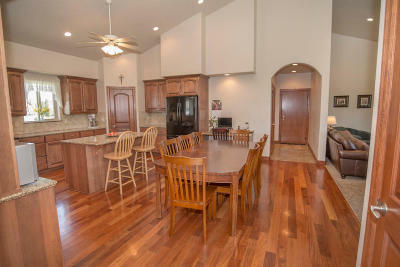 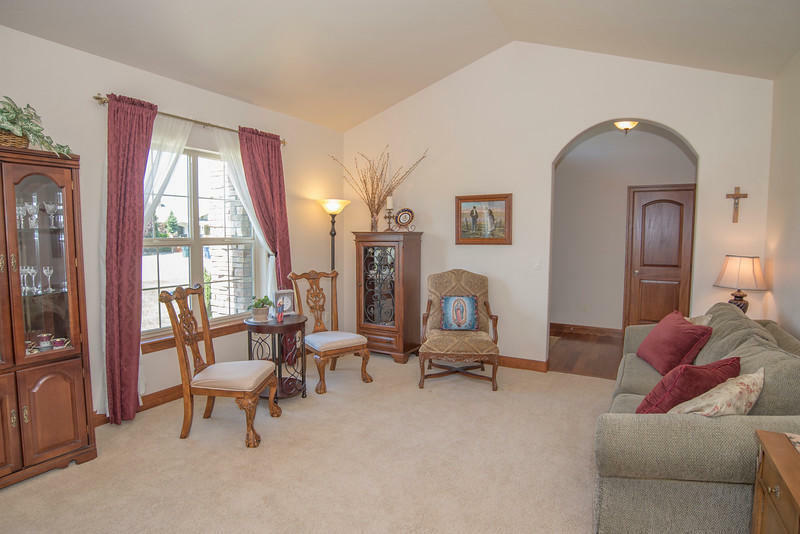 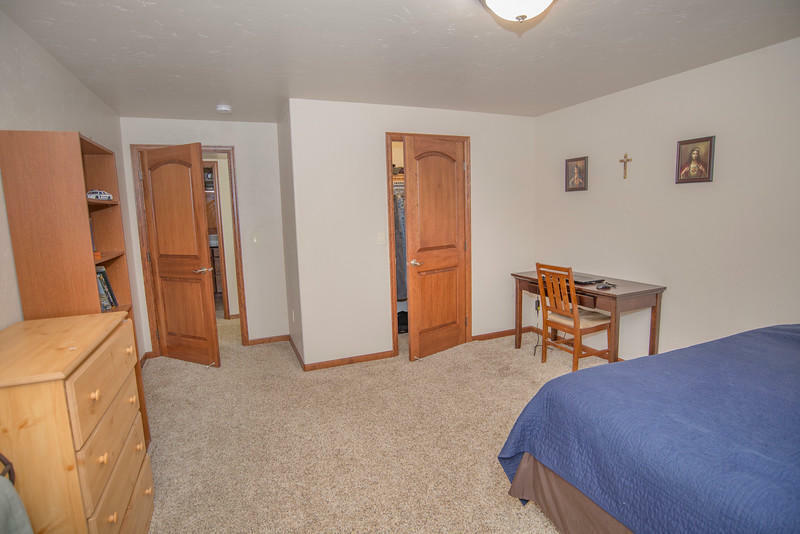 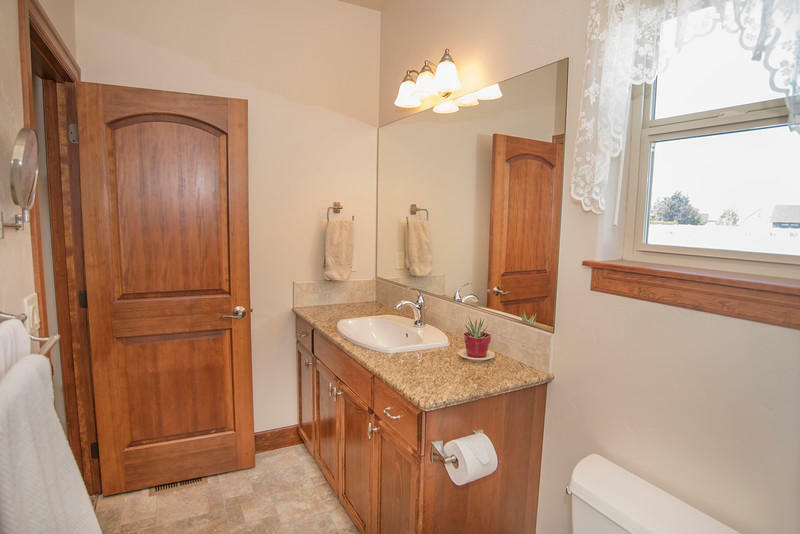 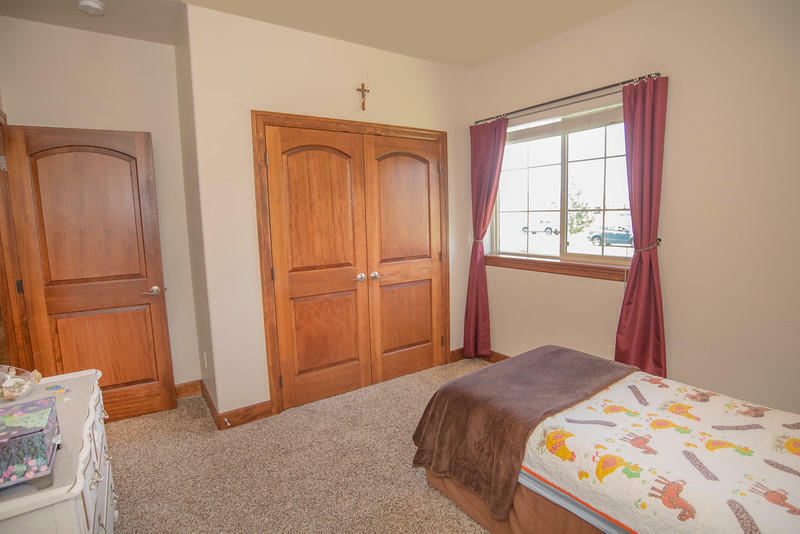 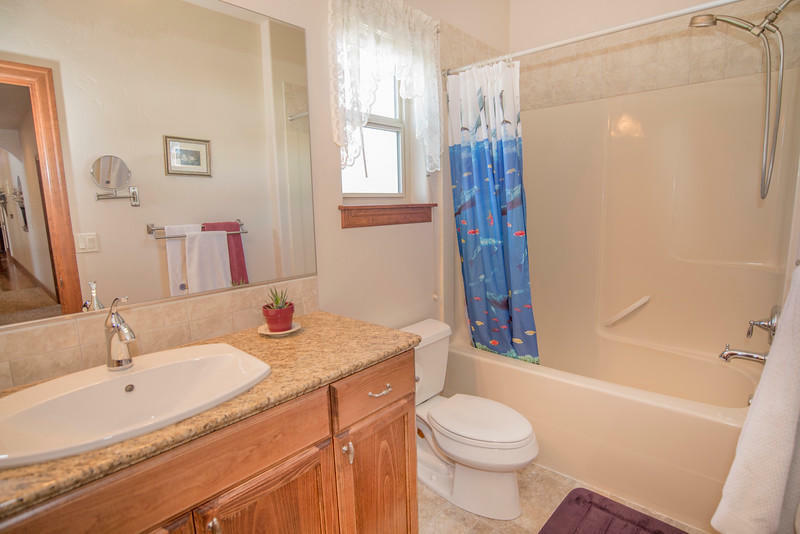 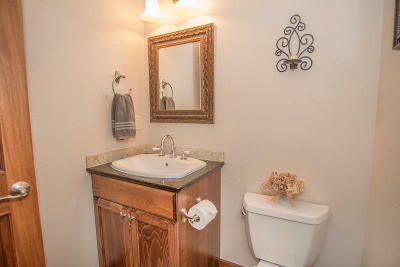 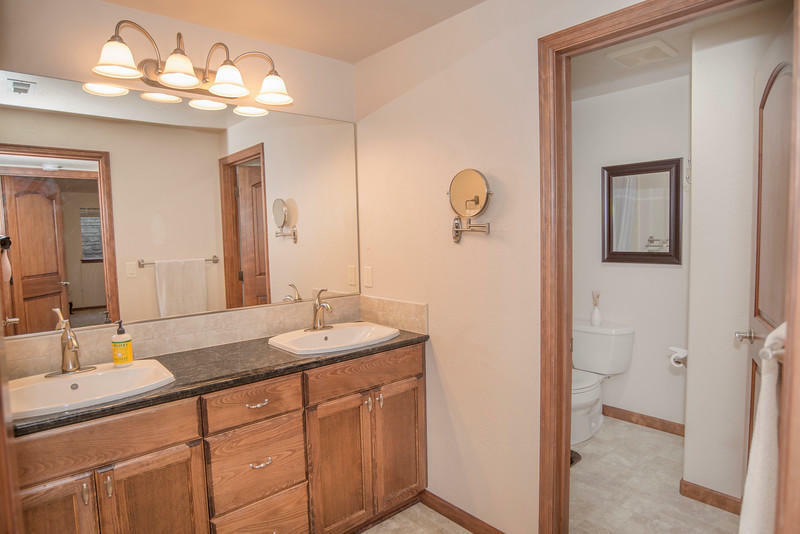 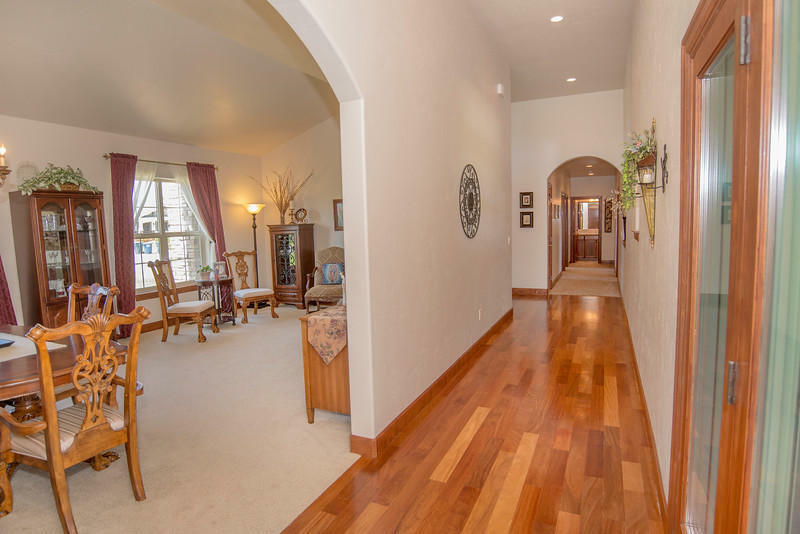 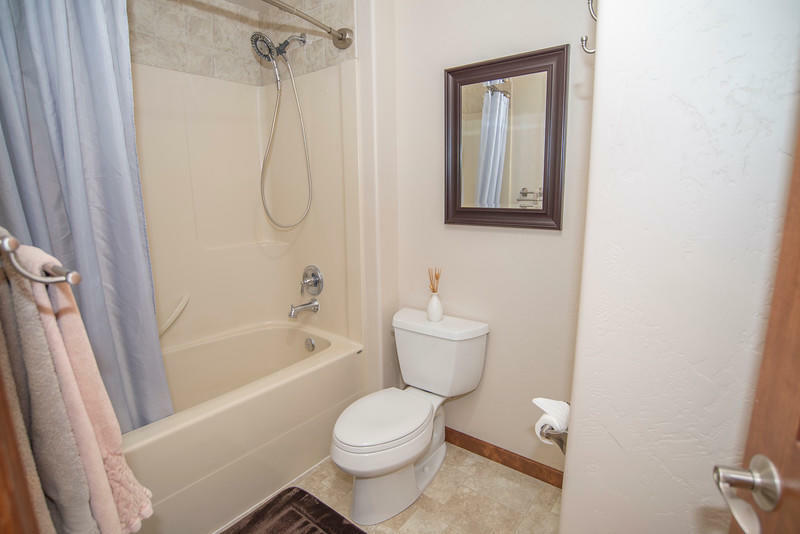 Stately hallway leads to master suite with shower and jetted tub, and two generous bedrooms & full bath. 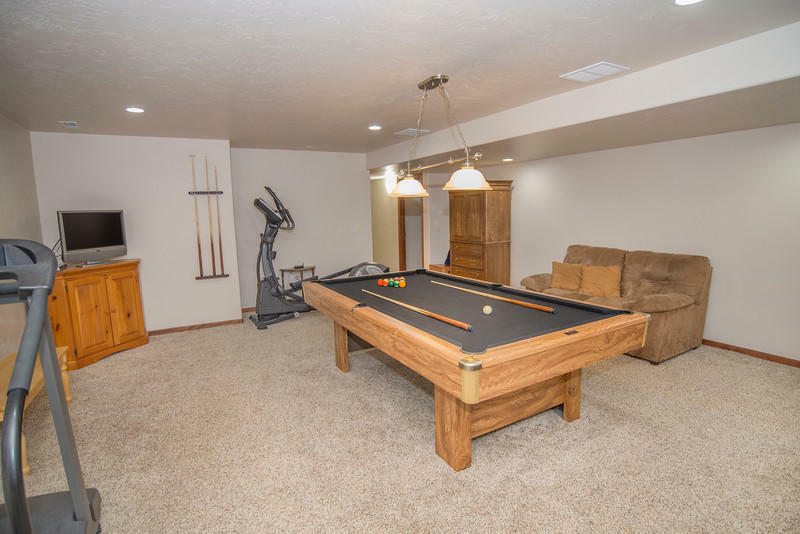 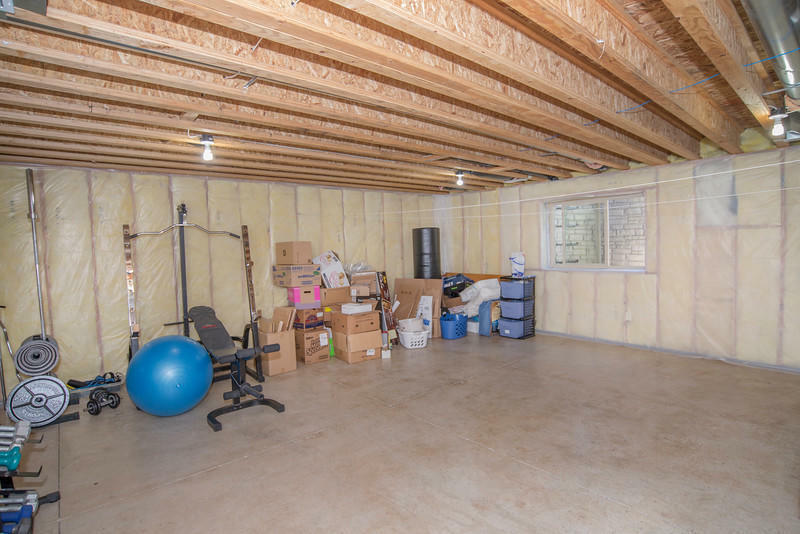 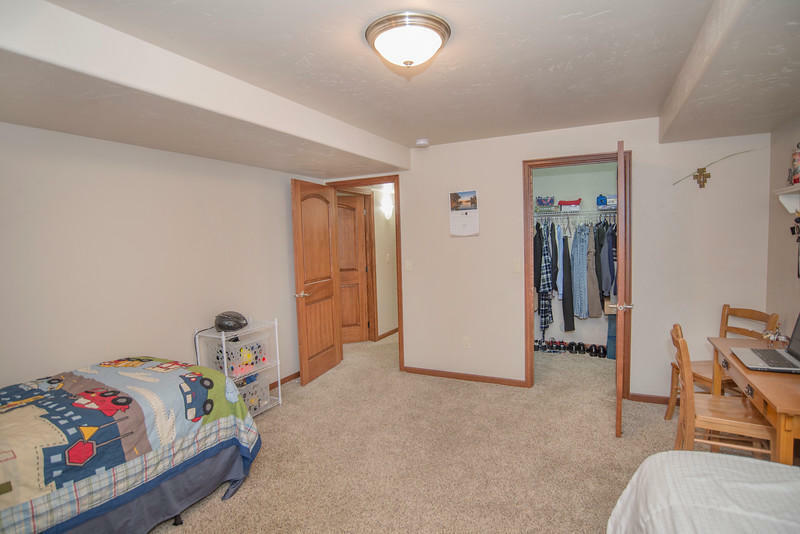 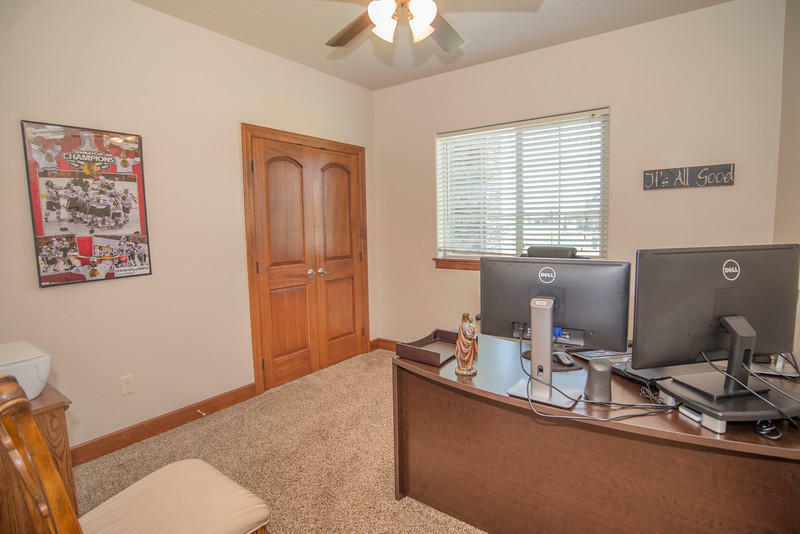 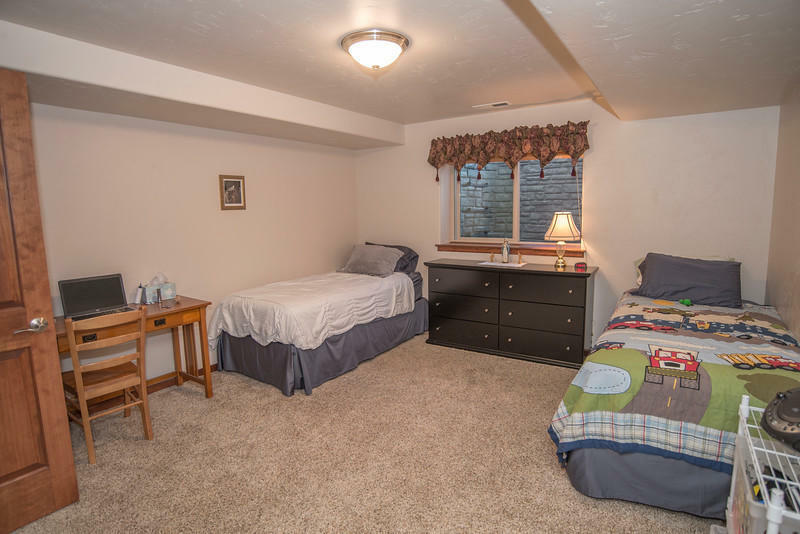 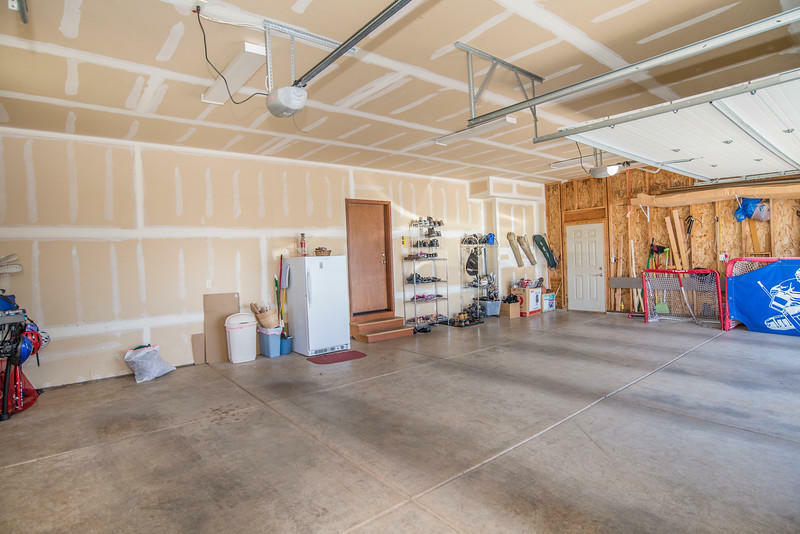 In the basement a great family/recreation room (stubbed for mini-kitchen), three bedrooms, bathroom, and huge storage area provide space for more family and friends. 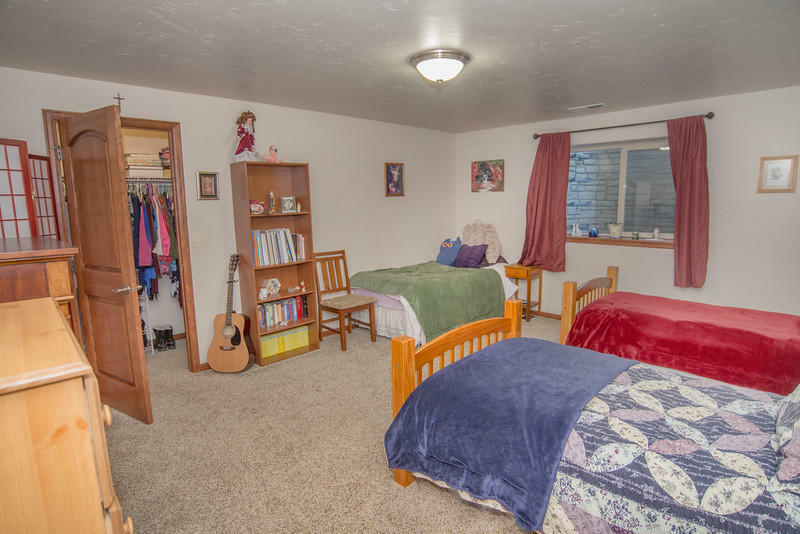 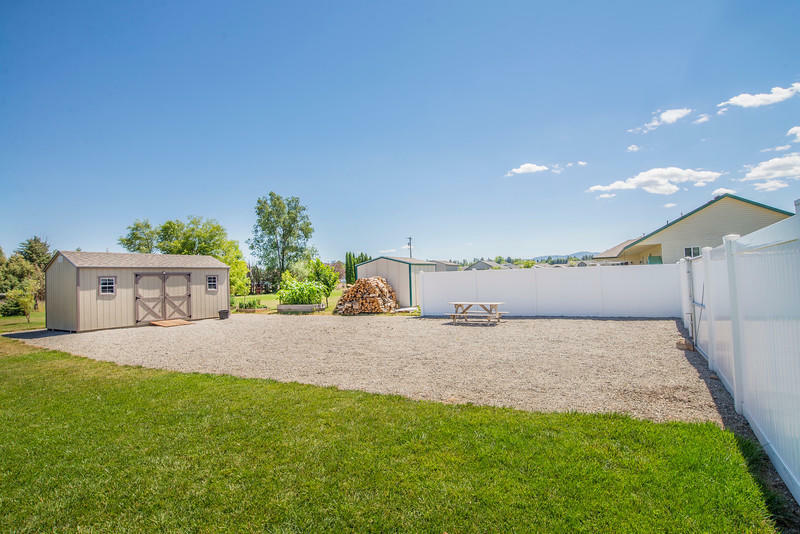 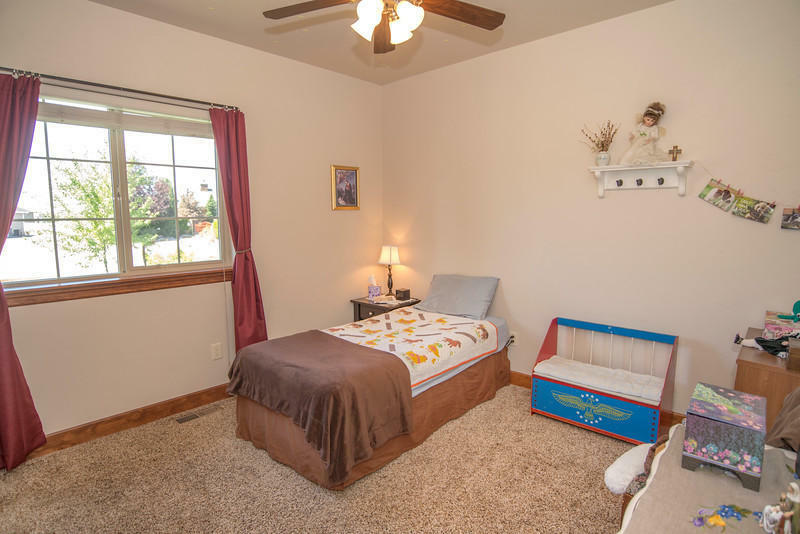 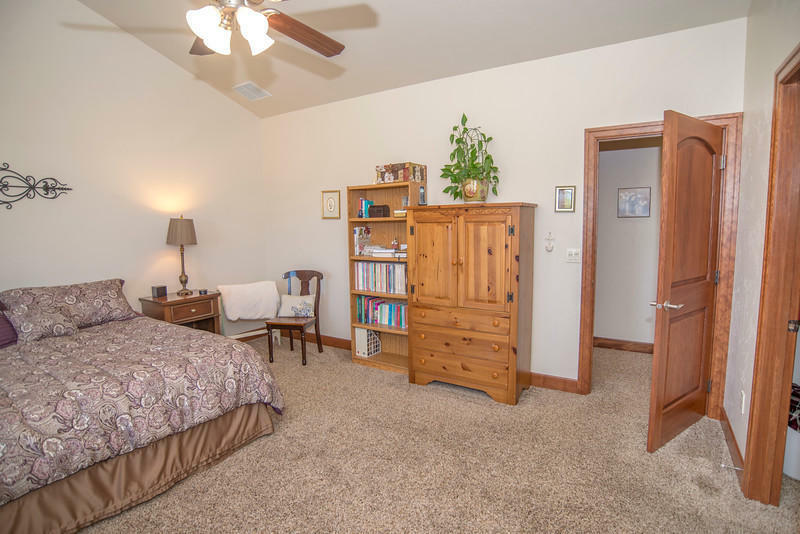 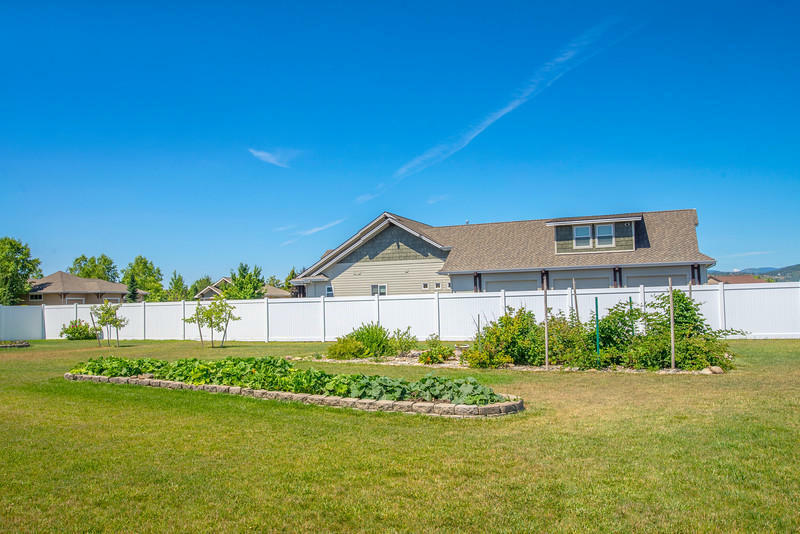 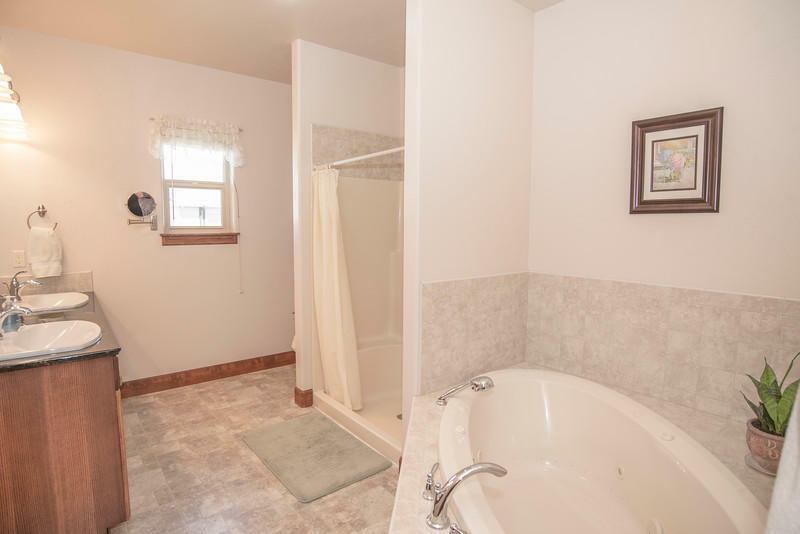 40 year architectural shingle roof, zoned heating and heat pump, central air, three-car garage and space for an RV & shop, garden beds with berries, fruit trees, and storage shed in fenced yard on a tranquil cul-de-sac.